According to FamilySearch's progress map, the indexing of Indiana in the 1940 census is 100% completed! What a fantastic job by all of the indexers and arbitrators. In the coming weeks FamilySearch will begin the process of getting the completed index online so it can be searched. The Wednesday, May 9 meeting of the Allen County Genealogical Society of Indiana will feature a program, "Researching Quaker Records," by Ron Tetrick of Kokomo. He will discuss records kept by the Society of Friends and their use as sources for genealogists. The meeting is open to visitors as well as members and begins at 7 pm in Meeting Room A of the Allen County Public Library in Fort Wayne. Gathering time is 6:30 pm. This is the last day to register online for the Indiana Genealogical Society’s 2012 Conference on Saturday, April 28 at the Allen County Public Library in Fort Wayne, Indiana. Online registration will close at 11:59 pm Eastern tonight. Walk-ins to the conference will be welcome - the cost will be $45 each. Online registration is now closed for the Indiana Genealogical Society’s pre-conference Seminar on Friday, April 27 at the Allen County Public Library in Fort Wayne, Indiana. Walk-ins are welcome - the cost will be $7 each. The Genealogy Center in Fort Wayne is offering a class, "Beginner's Guide to Vital Records," on Saturday, August 25 from 10 to 11 am in the library's Meeting Room A. Vital records are the Holy Grail of genealogical records, definitively providing a legal document that records a date of birth and parents, marriage date and place, or evidence of a death, perhaps providing parents or cause of death. However, birth and death records were not commonly recorded until the 20th century, and even the availability of marriage records depend on the locale and culture. In this class, Delia Bourne will explain what can be found in a vital record, and what other sources may be used when the official record is missing. This is a free class, part of The Genealogy Center's Beginners' classes this summer. For more information, please see the brochure at http://www.genealogycenter.org/Libraries/2012_Brochures/summer.sflb.ashx. Please register for this class by calling (260) 421-1225 or sending an e-mail to Genealogy@ACPL.Info. Oak Hill Cemetery in Lebanon, Boone County, Indiana will be the site of the 3rd annual Cemetery Tour on Saturday, May 26th, as presented by the Oak Hill Cemetery Association, the Boone County Historical Society and the Lebanon Public Library. Presentations will be given inside the cemetery's Powell Chapel at 10 am and 1 pm. Tickets for the tour are $5, with the proceeds going towards the preservation of Powell Chapel. For more information or to purchase tickets, please contact the Heritage Center of the Lebanon Public Library. The Genealogy Center in Fort Wayne is offering a class, "Getting The Most From A Book," on Saturday, May 12 from 10 to 11 am in the library's Meeting Room A. Not all books are the same - differing formats, different types of information and different indexing systems can actually make evaluating the information a little more difficult, especially for beginners. In this class, Delia Bourne will discuss the basics of using books and how to retrieve and evaluate all possible information. Are you new to genealogy? Have you tried Ancestry.com and felt confused? The Genealogy Center in Fort Wayne is offering a class, "Ancestry: The Beginner's Way To Search," on Saturday, July 28 from 10 to 11 am in the library's Meeting Room A. In the class, Melissa Shimkus will show you some basic steps to begin your genealogy search and successfully navigate this genealogy database. According to FamilySearch's progress map, the indexing of Indiana in the 1940 census is now 90% completed! We have heard from several wanting to help index that there are no batches available for Indiana - that is because others have already downloaded the batches. We invite you to work on other states in the meantime - particularly Illinois, Kentucky, Michigan and Ohio, where our Indiana ancestors may have ended up. There are 2 more reasons to attend the Indiana Genealogical Society Annual Conference next Saturday, April 28 at the Allen County Public Library in Fort Wayne. Michael Hall's sessions - "What's New With FamilySearch" and "Finding Indiana Records and Research in FamilySearch" - have been approved for LEUs. That means Indiana librarians who attend his sessions will receive 1 Technology LEU (TLEU) per session. Registration is $30 for Indiana Genealogical Society members, $40 for non-members. Registration must be received by April 26th. Walk-ins ($45) will be welcome. The Indiana Genealogical Society now has 769 databases in the Members Only area. They cover all 92 Indiana counties and encompass 500,000+ records. Have you taken a tour of The Genealogy Center in Fort Wayne but still feel a little confused? On Saturday, June 23 from 10 to 11 am, Melissa Shimkus will give a class in the library's Meeting Room A, titled "How To Use The Genealogy Center: Basics." In the class, she'll show how to use their vast collection of materials, including their microtext area and their facility and how to search their catalog. A recent news article profiles a Montgomery County company that makes tombstones and the technology that comes with them. These tombstones include a Quick Response (QR) barcode on them. Visitors who have smartphones can then scan the QR code and access additional information, such as photographs or text, and can also leave their own information. The QR codes can also be added to tombstones that already exist. Conner Prairie, the interactive history park in Hamilton County, Indiana, will hold a program this weekend to mark 2012 as the 200th anniversary of the start of the War of 1812. There will be encampments and various demonstrations given on April 21-22. For more information, visit http://www.connerprairie.org/Plan-Your-Visit/Special-Events/Bicentennial-of-War-of-1812.aspx. The LaPorte County, Indiana Genealogical Society will discuss records written in Latin and Polish at their meeting on Tuesday, May 8 at 7 pm. The meeting, which will be held at the Swanson Center for Older Adults (910 State St., LaPorte, IN), will featured a program by Professor David Nowicki on how to decipher records that are written in Latin or Polish. These languages are especially prevalent in church records. I am trying to find information on "Wick" ADAMS from around Muncie, IN or maybe Indianapolis. He trained and worked with horses. Also looking for his ancestry which began at St. Mary's Reservation in Ohio? Looking for information on John STEPHENSON's wife Grizella WILLS, I'm especially looking for a death date. They lived in Marion County, IN. John remarried to a Mary BICE around 1860, then moved to Edgar County,IL , and then on to Nebraska. I have been attempting to obtain information/photos of a two-room grade school I attended from 1st thru 6th grades. The school was closed in 1958 when the students were transferred to Marrs Elementary about a quarter mile from where I lived and grew up. The name of the school was Stuckey or Stucky. It was located in Mt Vernon, IN on Lower Mt.Vernon Road. My teachers were: 1st thru 4th grade Mrs. Mary Vivian Knofpmeier and 5th thru 6th grade Mr. Wallace Kramer. The school and land were purchased around 12 years ago and it was taken down for the new owners to build a homesite. Any information/history/photos you may have or any information/references on how I can get them is more than appreciated. I am at a dead end. I am trying to find living descendants of Georgia Mae HARMON/HERANCOURT/HASS(HAAS) who was born January 29, 1902 in Ohio, possibly Salem, Shelby County. She died August 1979 and her last known address was 47905 Lafayette, Tippecanoe, Indiana. She was married to Henry Bohn HASS about 1921 and they were the parents of Robert H., Charlotte H., Thomas W., and Richard F. HASS. Georgia's mother Lova Dott STALEY was married to Dr. Claude A. HARMON, who practiced medicine in Upton, Weston County, WY. Dr. HARMON was a member of the Masonic Fraternity and was killed tragically in a train accident out of Upton March 11, 1918. Evidently he and Lova Dott were divorced and he had remarried Alma FOSTER in 1915, who brought a son, Donovan, into the marriage. The Masons in Upton are wanting to honor Dr. HARMON and would be ever so grateful if some of his descendants could be present. I thought since his daughter, Georgia M. died in Indiana that possibly other relatives might reside there and could be contacted. Any help you can give will certainly be appreciated. My great great grandfather, Samuel HURNI, died on 16 December 1919 in Allen Township, Noble County. However, he was not buried there. According to the Noble County Health Department, he was buried in Cedar Creek and the undertaker was G.O. Gaff Funeral Home. In the 1910 census, Samuel lived in an old peoples home in Allen Township, Noble County. My question is, where do I locate the burial records of this funeral home and the records of the old peoples home? Are they still in existance? I'm told that is a Gaff Funeral Home in South Bend, Indiana. However, I am unable to locate them. Looking for information on the MASTERS family in Union or Franklin County. Margaret Masters born 9/12/35. She had two sisters and three brothers. In researching my husbands elusive BRICKEN family I have come across Ida A. BRICKEN daughter of William and Elizabeth. Ida was born in Kentucky c. 1869. She married Joseph STARK b. 1864. Joseph was born to German parents in Indiana. The 1900 census shows the Joseph and Ida in Lebanon, Marion, Kentucky. I am really grasping at straws but hoping there will be some record of Ida and Joseph's marriage in Indiana. I'm looking for any information on my paternal 2nd great-grandparents: John S. BELL, born approx. 1812-1817 and died sometime after 1860. He married his first wife, Penelope SPICER BELL, in Fulton Co., Indiana in 1835. She died there in 1848 at the age of 28. His second wife was Rachel ANDERSON BELL, born approx. 1829. They were married in 1848, shortly after Penelope died. I would love to know what became of John, as well as any earlier historical data on Penelope and Rachel. Looking for information on Paul (1755-1852) and Matilda NAY TINSLOW, of Petersburg, Pike, Indiana. They were among the early settlers of Indiana arriving at the Fort of Oak Springs, near the White River. The Indiana State Library in Indianapolis is holding a "Genealogy for Night Owls" event on Thursday, May 3 from 5:30 to 8:30 pm. You will be able to work on your genealogy research, use the library's access to subscription databases such as Ancestry.com Library Edition, and get tips from Indiana State Library and Indiana State Archives' staff. Snacks will be provided. The event is free and open to the public - registration is required (the deadline to register is April 30). To register, phone (317) 232-3689 or e-mail leijohnson@library.in.gov. The Indiana Genealogical Society now has 768 databases in the Members Only area. They cover all 92 Indiana counties and encompass 500,000+ records. A recent news item in the Post-Tribune details the partnership between the Northwest Indiana Genealogical Society and the Lake County Recorder's office to make the county's records more accessible to the public. The Lake County Recorder's office is digitizing their collection of nearly 6,000 volumes of deed books; genealogy volunteers (led by Indiana County Genealogist Marlene Polster) are indexing the transactions in the books, which include land sales and mortgages. 1. Learn from a national speaker at a bargain price in your backyard! 2. Find out more about the military’s efforts to utilize genealogists to help return missing soldier’s remains to their next of kin. 3. Get re-motivated to dig into your family history research by spending time with other genealogists. 4. Cheer on the award winners for their excellent examples of leadership and inspiration. They are the movers and shakers of IGS. 5. Learn how to use online genealogy websites FamilySearch.org and Ancestry.com effectively in your research. 6. Learn tips to get the most out your ancestors’ records. 7. Attend the IGS annual meeting and find out what’s happening with the society. 8. Enjoy refreshments from the Allen County Genealogical Society of Indiana. 9. Research at the Allen County Public Library’s Genealogy Center, the 2nd largest genealogy collection in the United States. 10. Engage with societies from across Indiana in the vendor’s hall. 11. Meet the inaugural class of the Territorial Guard Society of Indiana and the newest class of the Society of Civil War Families of Indiana. 12. Support your state society! Let Ohio know that there are genealogists next door, too! 1. Find out about current projects from genealogical societies across the state and generate new ideas for your society. 2. Learn how to utilize social media for your genealogical society. 3. Break down brick walls at our "Ask the Experts" Panel. 4. Spend time researching in the Genealogy Center. 5. Meet fellow Indiana County Genealogists (ICGs) and learn from their expertise. Share their successes and failures while moving through the 21st century world of genealogy. Registration is just $5 and must be received before April 25th - walk-ins ($7) are welcome. According to FamilySearch's progress map, the indexing of Indiana's 1940 census is over 25% completed! Great work by all the indexers and arbitrators. If you would like to help, visit 1940 Census - Getting Started. Conference registration is $30 for IGS members, $40 for non-members - register online or print out & mail in the registration form. These databases are free to the public - no membership is needed in order to view them. The Indiana Genealogical Society now has 766 databases in the Members Only area. They cover all 92 Indiana counties and encompass 500,000+ records. One of the research strategies for browsing for an ancestor in the 1940 census before an index is completed is to narrow down the enumeration districts you must browse, based on what their street address was in 1940. Indiana University Purdue University Indianapolis (IUPUI) has digitized and indexed several Indianapolis city directories, including one for 1940. The Mishawaka-Penn-Harris Public Library in St. Joseph County, Indiana will hold a House History seminar on Saturday, April 28 from 9:30 to 11:30 am. Todd Zeiger of Indiana Landmarks will present "House Detectives: Researching The History of Your Home," which will show you where to look for information about your home's past. The seminar will include a visit to the library's Heritage Center, where you can explore their resources for historical research. A follow-up seminar, "Historic House Styles: Identifying Your Home's Architecture and Era," will be held on Thursday, May 3 from 7 to 8:30 pm. The Indiana 1940 census images are now available for indexing with FamilySearch! You can join the Indiana Genealogical Society in helping to index these records as part of the 1940 U.S. Census Community Project (http://the1940census.com). Start by watching the 1940 Census Indexing Training videos (https://the1940census.com/video-training/). There you will learn how to download the FamilySearch Indexing software, create a FamilySearch account, index the 1940 census and associate yourself with a society. Make sure to associate your FamilySearch account with the Indiana Genealogical Society. This will make both you and our society eligible for prizes (https://the1940census.com/blog/games-prizes/). IGS receives credit for all 1940 census indexing, not just the Indiana census pages. So feel free to index states where your ancestors lived or to to index a batch from each state. You can keep up to date on the progress of the 1940 U.S. Census Community Project at https://www.familysearch.org/1940census/ - the site has a map where you can hover your mouse over a particular state and see the percentage of records that have been indexed. If you have any questions about how to help the Indiana Genealogical Society in indexing the 1940 census, please contact IGS Vice President Tina Lyons at genwishlist@gmail.com. Jeannie Regan-Dinius from the Division of Historic Preservation and Archaeology of the Indiana Department of Natural Resources will speak on Monday, May 14 at 6:30 pm at the Vigo County Public Library in Terre Haute, as part of the Wabash Valley Genealogy Society's meeting. She will present a program, "A Grave Matter in Indiana," about the ongoing activities relating to the locating, documenting and preserving of Indiana's pioneer cemeteries. She will also review Indiana law as it pertains to access, preservation and relocation of cemeteries. 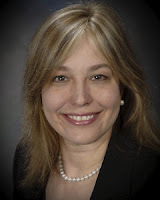 Dawn Powell Camp, researcher for the Washington County Historical Society, will present "Preserving the Past for the Future" at the Thursday, May 3 meeting of the Southern Indiana Genealogical Society. Ms. Camp will give a virtual tour of the John Hay Center in Salem, Indiana, including the Stevens Museum, the genealogy and historical library, and the pioneer village. Meeting time is 7 pm in the Strassweg Auditorium of the New Albany-Floyd County Library, 180 W. Spring St., New Albany, Indiana. The Indiana Genealogical Society now has 764 databases in the Members Only area. They cover all 92 Indiana counties and encompass 500,000+ records. The Indiana Genealogical Society’s 2012 Conference is fast approaching. It will be held Saturday, April 28 at the Allen County Public Library in Fort Wayne, Indiana. Debra S. Mieszala will be our featured speaker. Debra was kind enough to participate in an e-mail interview with IGS Vice President Tina Lyons. Below are her responses. What inspired you to start researching your own family? Debra: I grew up hearing stories about long-gone family members, so family history was always a topic of interest. When I was in high school my history teacher gave an assignment to make a family tree. Simple enough, as some great-aunts (that I never met) had done beautiful calligraphy trees for me and my sisters. I added a page of information found in a book about a person with the same name as an ancestor, and considered the project done. Not my most overachieving work, but it is how it happened. The teacher had all of the trees on the back wall. I enjoyed looking at them, so there was a spark. We had a break. After it I went back to the teacher, looking for my family tree. "I threw those out," he said. And I immediately vowed to recreate it. It has grown and errors were fixed. But I still wonder how those maternal great aunts uncovered some of what they found long ago, especially on my father's side of the family. With modern access to older resources, we are a bit spoiled, but should aim to never neglect visiting courthouses, cemeteries, archives, and libraries. What does genealogy give to you, personally? It allows me to be a detective, an analyst, a solver of puzzles, and a student of history on large and small scales. It has taught me where the artistic streak in the family came from, where the sense of humor carried down, and that the labels people place on themselves are so much more complex than they might imagine. I feel it gives me a more complete sense of self. And there is a great satisfaction in helping others to discover these things, too. How did you get started helping the military locate next of kin for missing soldiers? I was recommended (without my knowledge) by a colleague that worked with me on another project. I did a trial case to see what I thought of the work and was hooked. It really is humbling to be part of such an amazing and important project. I often think of these service members, most who died before I was born, and think what an interesting world it is where I am allowed a tiny role in their "lives" years after their deaths. How does one go from being a forest ranger to being a professional genealogist? In one way, going from forest ranger to genealogist is not that difficult a stretch. As a ranger I usually worked solo, aside from my favorite partner, a horse named Desperado. We had contact with park visitors and other staff. As a genealogist much of my work is done alone, with some contact with the outside world in the form of librarians, records clerks, and fellow genealogists. However, I miss my four-legged partner, and my old office, the woods, is hard to duplicate. A clipping of Desperado's tail hairs hangs over my office bookcase as a reminder of the many trails we took together over 23 years. Those trails led me here. Do you consider volunteerism in genealogy organizations valuable and important and why? Volunteerism is critical to the field of genealogy and to the personal growth of each genealogist. There is something about giving that inevitably makes room for this "give back" phenomenon. I interview newly Board-certified genealogists for press releases, and almost always see that they have had roles in societies large and small -- as officers, volunteers, and on committees. I think that is a very telling thing. One can't operate in a vacuum and learn enough in this field. Through volunteering we support our organizations, which allows records to be preserved and enables others to learn about their families. Those others often teach us about local history and communities in the process. The only people who lose in a volunteer situation are the ones who don't raise their hands and step forward. The Indiana Genealogical Society now has 760 databases in the Members Only area. They cover all 92 Indiana counties and encompass 500,000+ records. The Indiana Genealogical Society now has 759 databases in the Members Only area. They cover all 92 Indiana counties and encompass 500,000+ records. The seventh annual Genfest will be held at the Muncie Public Library on Friday, June 22 and Saturday, June 23. Genfest is a free genealogy festival that brings together historians, research access, networking opportunities, programs, and vendors to those who are charting their family trees. The library will be open to serve genealogists attending Genfest from 8 am until 5 pm on both days and will also have vendors on display who can help attendees with information and other needs specific to those conducting family research. All of the library's computers will be dedicated for genealogy research. Free seminars at the event will help history hunters in their research and cover other topics such as how to care for heirloom textiles that have been passed down through generations. Most of the events of GenFest are free, except for an exclusive Friday evening dinner and preview tour of the Civil War Exhibit at Minnetrista. The cost for that event is $20 per person and reservations for the dinner must be received by Monday, June 11. For more information, including how to register (which will aid in planning) and directions, visit http://www.munpl.org/default.asp?PageIndex=833 or contact Beth Kroehler - phone (765)741-5159. ABOUT GENFEST: In 2005, Muncie Public Library hosted the first ever Genfest, which was created and planned by local genealogist researcher Shirley Pearson. Since then, the event has been hosted by other libraries and organizations and held at different locations throughout the state. Researchers travel from all over the country to participate. The images from the 1940 census for all 92 of Indiana's counties are now online at Ancestry.com. Go to http://search.ancestry.com/search/db.aspx?dbid=2442 and select Indiana from the State menu, then select from the County menu and the Enumeration District. These census images are browseable until an index is created; you can print the image or save the file to your computer. Remember, these images are free to the public - you do not need a membership with Ancestry.com to view them. The Indiana Genealogical Society has added the April 2012 issue of IGS Newsletter, the society's bi-monthly newsletter for IGS members, to the Members Only area. IGS members can login to the IGS Records section to download their copy. Besides the numerous news items from around the state, there is information about the 1940 census and a Q & A with Megan Smolenyak Smolenyak. The Indianapolis-Marion County Public Library has added a collection of digitized issues of the Indianapolis Star newspaper from 1903-1922 to its website, for access by its cardholders or from any of the library's computers (access is via the "iLibrary Online Databases" link on the left side of their webpage). The collection can either be browsed or searched by keywords, dates, etc. It includes photographs, advertisements, obituaries and marriage announcements. If you aren't a cardholder, or you can't get to Indianapolis to visit the library, you might want to check and see if your home library has a subscription to the ProQuest Historical Newspapers Collection - these digitized issues are also part of that database. Indiana Freedom Trails will meet on Saturday, April 7 from 11 am to 1 pm at the Eugene and Marilyn Glick Indiana History Center in Indianapolis (450 W. Ohio St.). The meeting will take place in the Multi-Purpose Room on the canal level and is free and open to the public. Deanda Johnson, Midwest Regional Coordinator NPS National Underground Railroad Network To Freedom, will speak about researching the Underground Railroad and the Network to Freedom Application process. Since 2010, Deanda Johnson has served as the Midwest Regional Coordinator for the National Underground Railroad Network to Freedom Program headquartered in Omaha, NE. Before joining with the National Park Service, she was the coordinator of the African American Research and Service Institute at Ohio University where she was involved in a large scale research project with African American descendant communities that had ties to the Underground Railroad. In 2004, she recieved her MA in African American Studies form the College of William and Mary. She is currently working on completing her PhD.